Vinayak Nair has been a Software Developer for more than 15 years and is passionate about Technology and loves Sci-Fi, so writing one himself was inevitable. 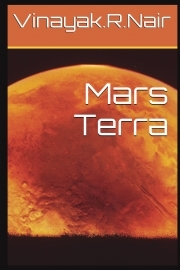 Mars Terra his début Science Fiction novel is a project close to his heart. He loves reading, travelling, gastronomy and anything to do with tech.